Today’s the day we get started on the decluttering! 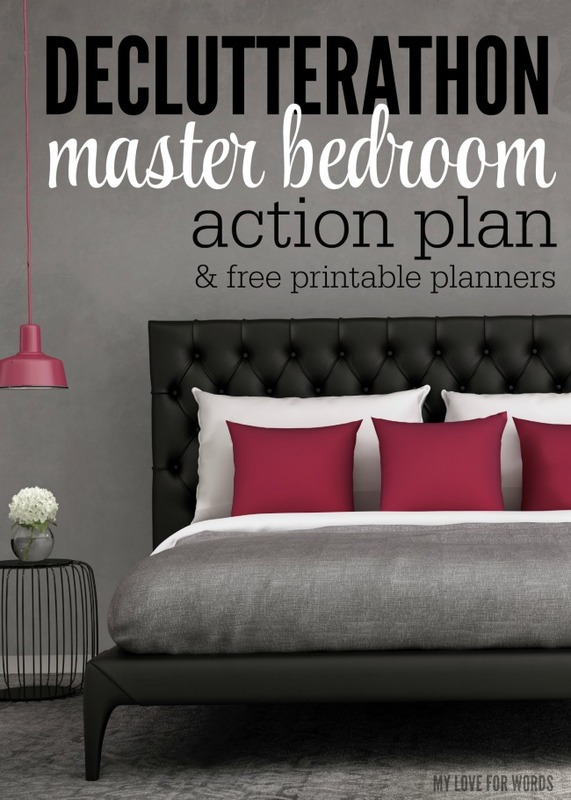 I asked in the newsletter and facebook group for your input on where to start, and most of you wanted to start in the master bedroom. I’m not going to lie; I wasn’t thrilled with that answer. My bedroom is probably one of the most cluttered rooms in my house (which is obviously why it’s not pictured above), but that’s okay. Go big or go home, right? Except I already am home… oh, whatever. The good news is that it almost doesn’t matter where we start because we’ll be taking each room and project in bite sized pieces. We’ll follow the same steps for each room so if you don’t want to start in your bedroom, that’s okay. 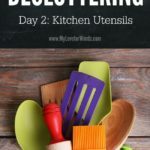 Remember, the point of the declutterathon isn’t to necessarily follow the program exactly as written as much as it is to use these steps in the best way possible for your own life. If you decide to do a different room or perhaps a smaller task first, you can refer back to these posts when you’re ready for them. 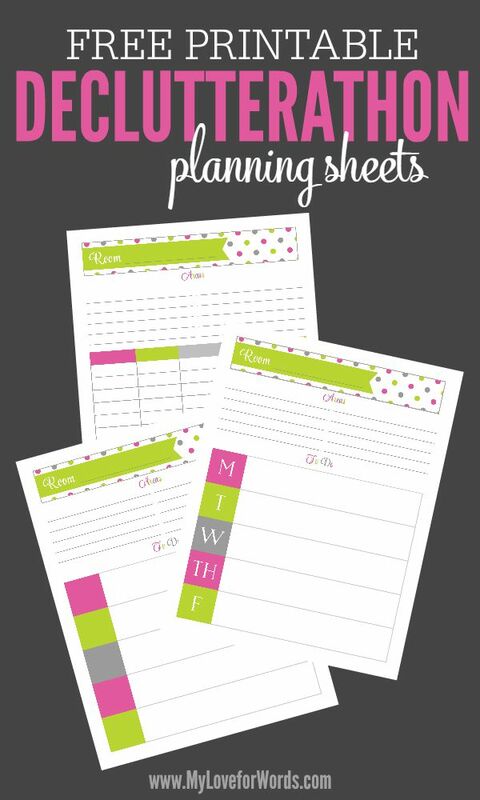 Of course, I made some handy dandy printables to help us plan and get through the week. I made three versions because I love having options. The first has the days of the week listed while the second has blank squares for those who want to make up their own schedule. 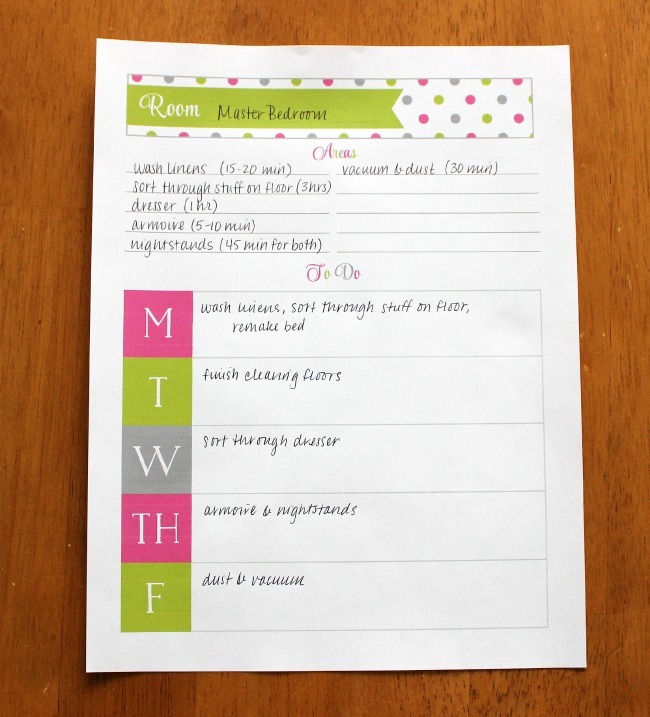 The third version has vertical columns that can be used as to do lists or for time blocking and scheduling your day. The first step to using the worksheet is, of course, deciding which space we’ll be working on. Easy! Master Bedroom. Look, we’re already on a roll. Next, we’ll divide the room into different spaces and estimate how long each task will take to complete. Do your best to accurately gauge how much time the different spaces will take you, and maybe even add extra time if you need to. I’m a chronic underestimator so I’m trying to be generous with my estimates. I’ll tell you later in the week how I do with that. We’ll be tackling closets at a different time, but if you want them to be included, please do so. My bedroom never really feels clean if the linens aren’t freshly laundered so I made that my first task. If you’re wondering how I can wash and remake my bed so quickly, I’m sad to say I don’t have a magic washer or dryer. I’m only counting the time I have to be hands on with that project. My plan is to load the linens in the washer and work on sorting through the stuff on my floor while it’s being washed and dried. I have a bad habit of forgetting that I have our bedding in the washing machine until it’s time for bed so I’ll probably set a timer too just to remind myself. Next, we’re going to assign a task to each day of the week. I’m using a standard work week, but you should use what works best for you. If you have a crazy day in the middle of the week, plan to do some work over the weekend instead. I’m going to try to keep the amount of time I work each day to around an hour. You can increase or decrease that time to whatever works best for you. If I have the time or energy to do more, that’s great, but I don’t want to create such an ambitious to do list that I end up frustrated because I’m not able to complete it. I have a lot of random things stacked against the wall in my bedroom so I know that’s my biggest space to declutter, which is why I spread it over two days. My armoire has little more than our tv in it so I know it won’t take long to declutter and why I’ll be doing it on the same day as our nightstands. Really try to be generous with your time estimates and how much you plan for yourself. 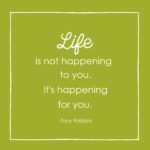 Life loves to get in the way, and that margin time will help us to stay on track if certain projects take longer than anticipated or life throws us a curve ball. We’ll also feel less guilty about relaxing if we’ve accomplished what we set out to do for that day, even if the entire job isn’t completed yet. I’m adding dusting and vacuuming to my list so the room is clean and finished by week’s end. Honestly, I’ll probably be so excited and energized by my progress that I’ll want to finish the room after dealing with the nightstands and armoire, but I’m still going to assign it to Friday since I’m already at my hour of work goal for Thursday. This way, should I not want to do it Thursday, I won’t feel like I’m falling behind. The goal moving forward will be to simply maintain what we do this week so we’ll be talking about developing our own maintenance plans soon. Alright, it’s go time. 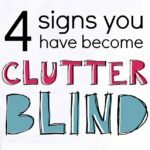 We’ve soul searched, we’ve planned, now it’s time to declutter! What does your plan for the week look like? Will you be starting in your bedroom? 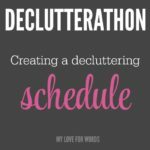 For more decluttering posts or to start at the beginning of the declutterathon, click here. I love that you broke one room into several pieces! I always get overwhelmed when contemplating our master bedroom. There’s my dresser, his dresser, both nightstands, under the bed, in the closet, etc. etc. So it never gets even started. Thanks for the inspiration to do things at my own comfort level. Maybe this year I’ll actually get our room clean and peaceful! You can do it, Jodi!! If I can, anyone can. Good luck! Good luck! I hate when I forget the bedding, but it seems to happen every time haha. I should probably start setting a timer. This is fabulous and your comments are hilarious…. thank you! And the printables are so cool, you give off a very generous and caring vibe.